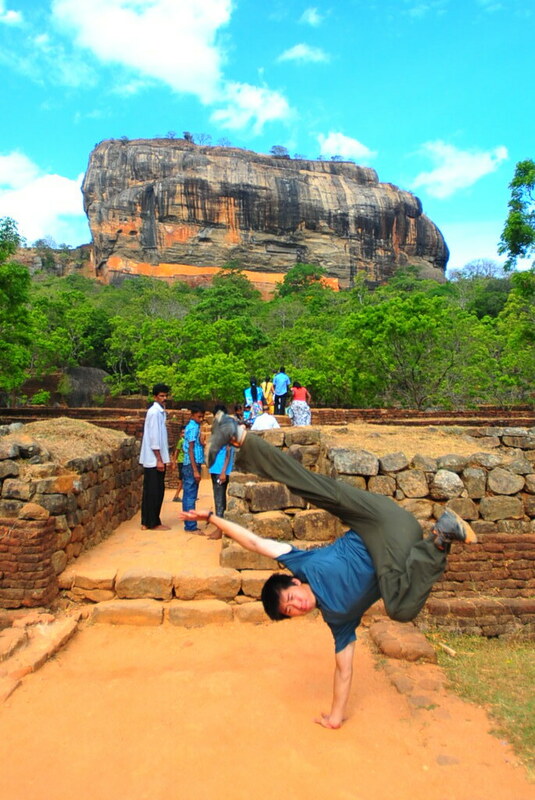 This is more like it: Sigiriya just got served. 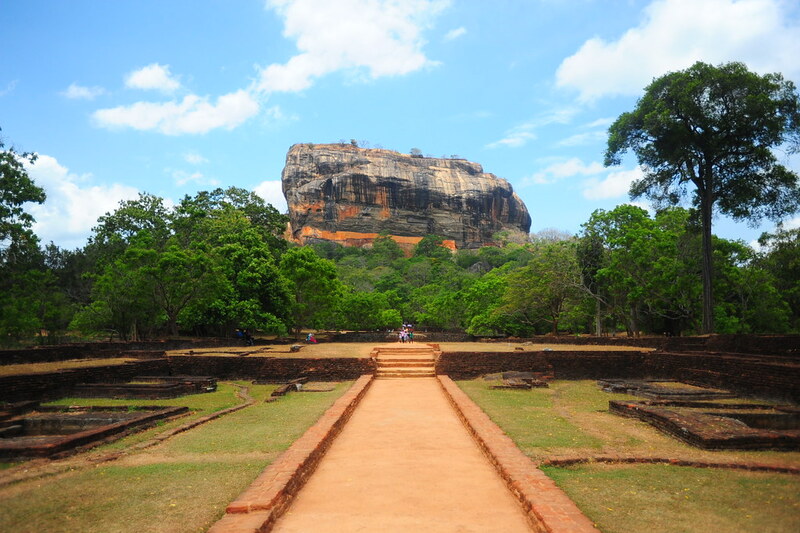 Sigiriya – for its foreboding magma rock from an extinct volcano. 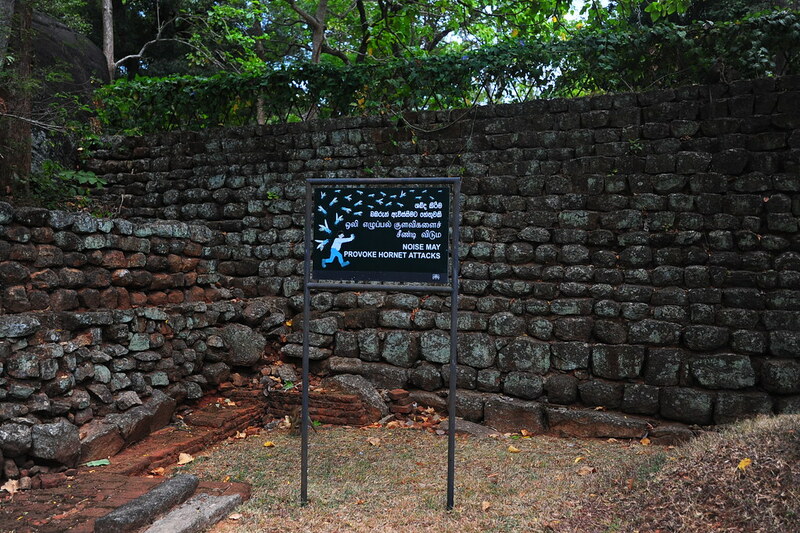 …leaving Anaradhapura (also famous for its ruins) for the next day. We almost succeeded. 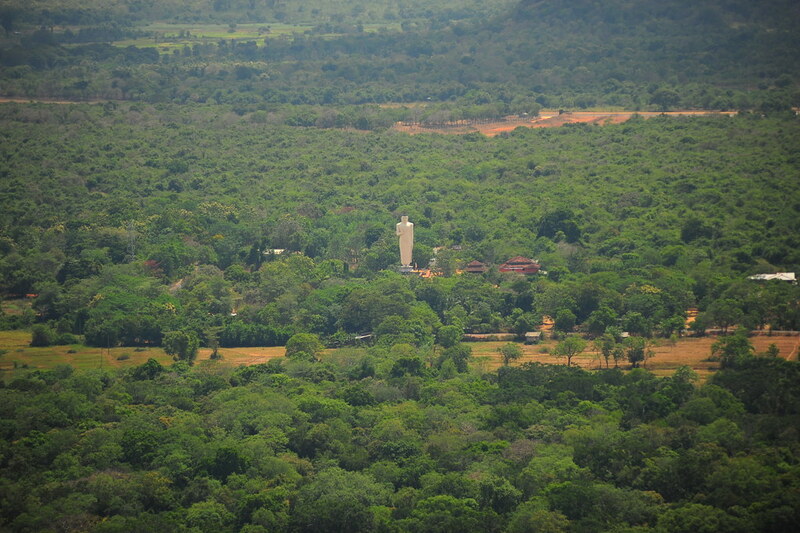 Had we woken up earlier and lingered less ontop of Sigiriya, we would’ve managed to hit all 3. 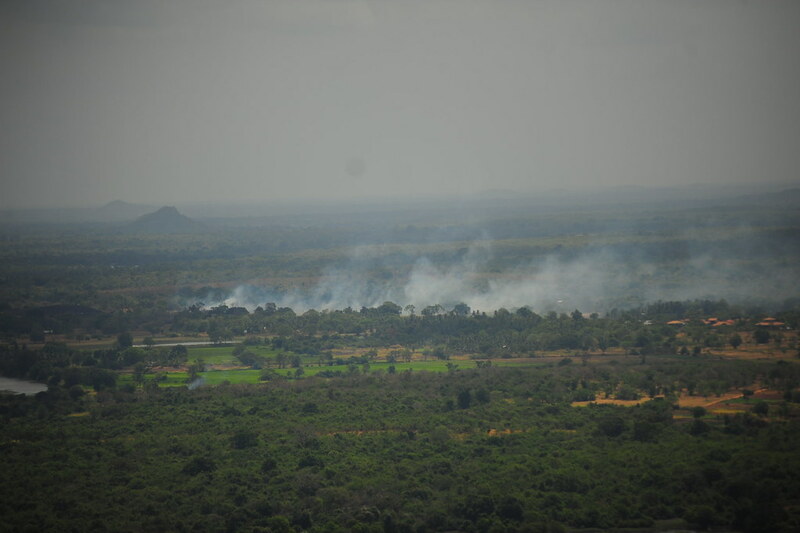 Instead we had arrived in Polonnaruwa with its sites about to close at 6pm, so we decided to save them for the next morning. 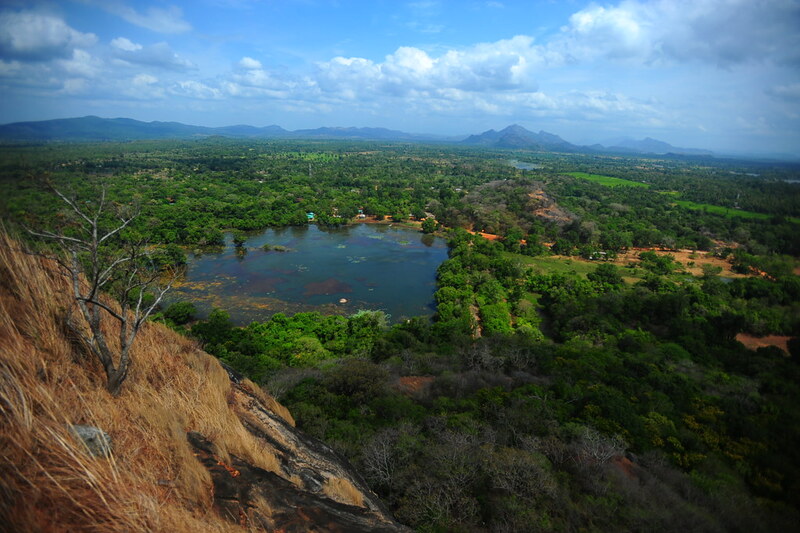 Before then, however, we did some heavy spelunkin’, exploring Dambulla’s mysterious cave temples and climbing enigmatic Sigiriya, which is listed in many of the world’s “100 most beautiful” lists. As for entry fees, there is a “round ticket” to see all of those sites with one convenient ticket for $50 USD. It’s either that or pay $25 USD per site. The downside is that when you use the round ticket on any one of those sites, entry is only valid for one day or else you’ll have to pay the full day’s amount for the next day. So you gotta be fast, and make sure you don’t arrive too soon before the sites close. 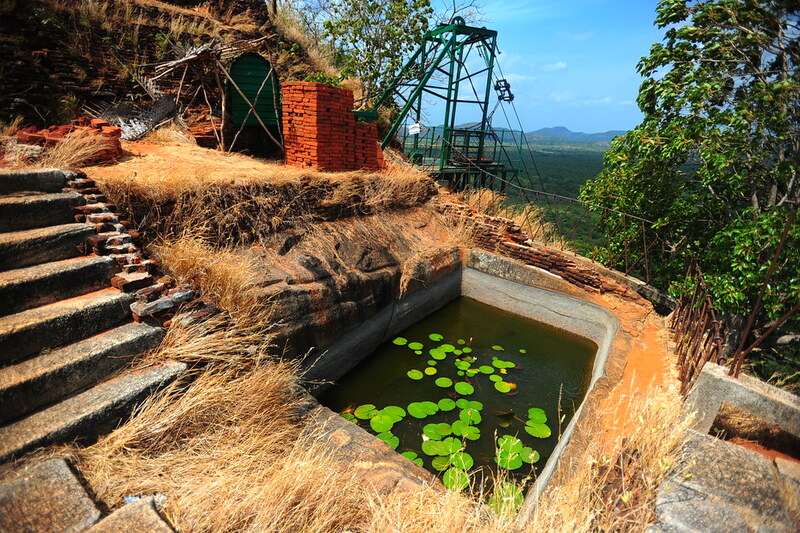 Although guides list the 30min rickshaw ride from Dambulla to Sigiriya as somewhere around 700 SL rupees (as opposed to a 50 rupee bus ride), we were able to bargain one down to 500 rupees (equivalent to only $4 USD!). So travelers, take note! For about $1-2USD more, you can save 1 hour waiting time for a public bus! "NOISE MAY PROVOKE HORNET ATTACKS" is another way of saying "BE QUIET." Go ahead. Start your climb. 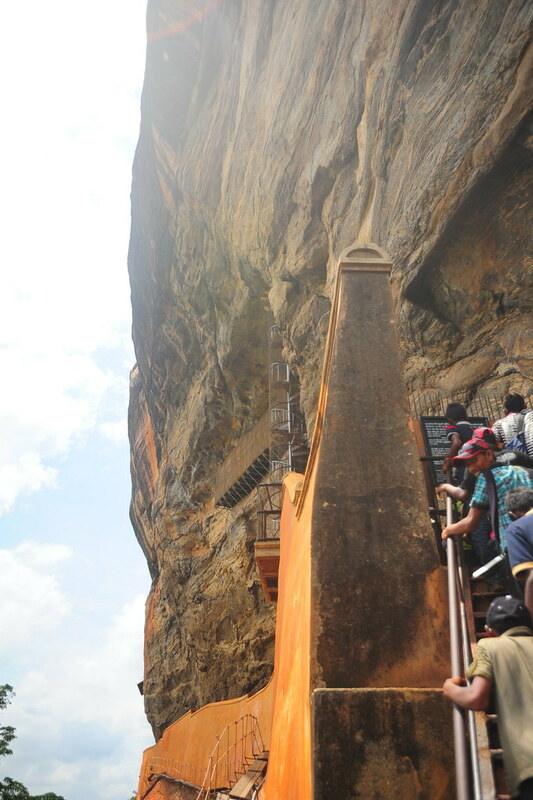 It's a very very long climb up. 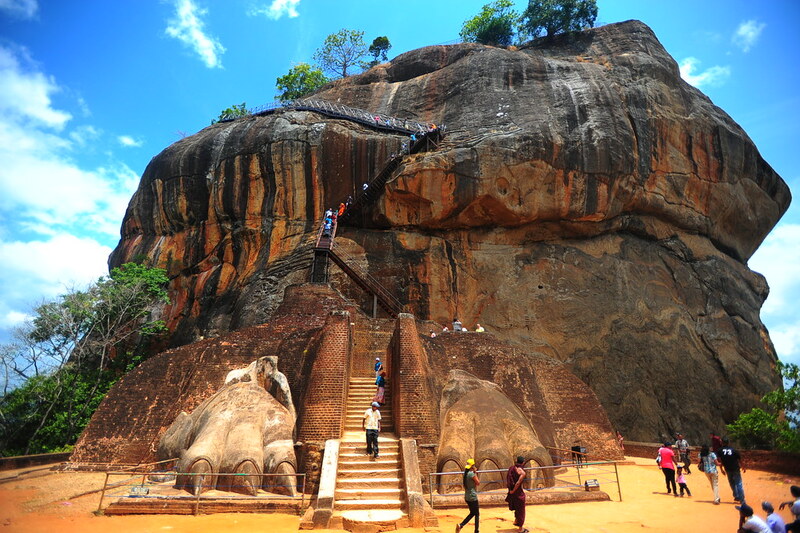 After a bit of climbing and fresco-spotting (some of which are incredibly well preserved), you’ll hit a break in the middle known as “Lion’s Paws.” Back in the day you could walk up these stairs into a lion’s mouth in order to begin your ascent to Sigiriya, but over time much of the lion wore away and all that’s left are these enigmatic paws straddling the entrance. 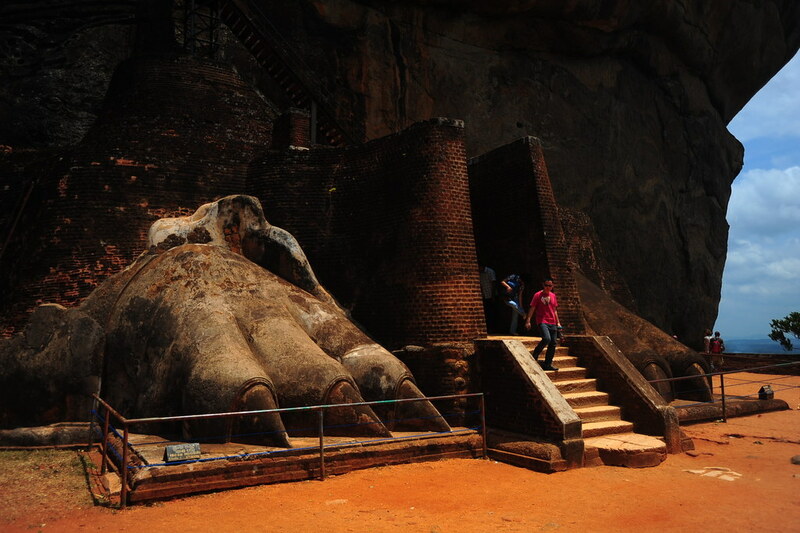 2 years ago I saw a picture of this on a "world's most beautiful" list and that was whe I knew I had to go to Sigiriya. 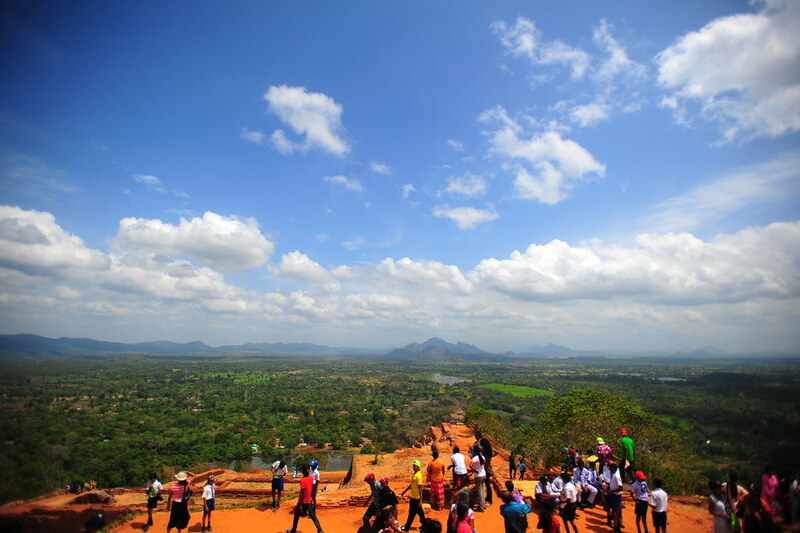 After another 15 minute ascent, you’ll eventually reach the top of Sigiriya. 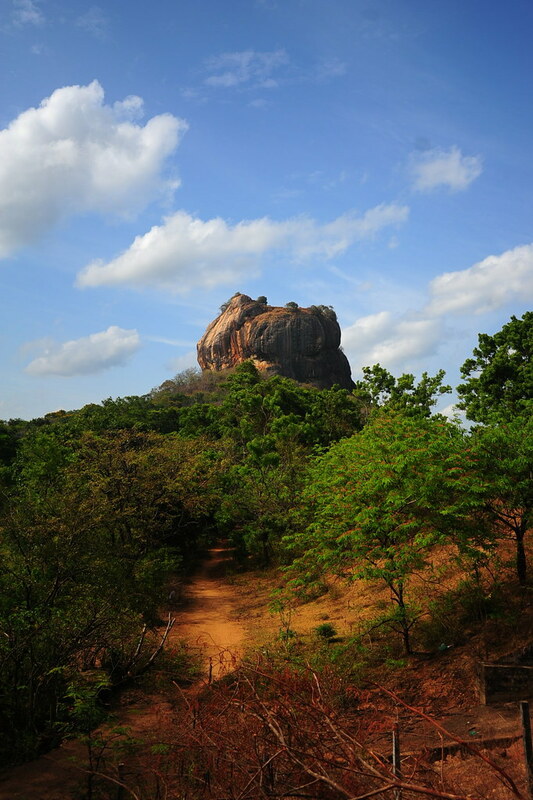 It had beren assumed that at the top there was a palace complex, but now the theory is that the top of Sigiriya merely housed temples, the reason being that excavation of the site discovered no infrastructure that could make long-term habitation possible (i.e. no evidence of crude lavatories). 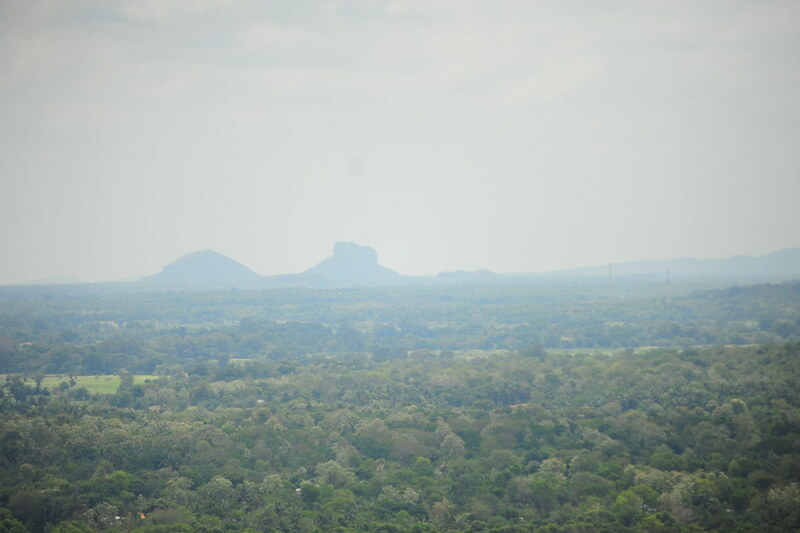 Nevertheless, I could see why devout pilgrims would ascend Sigiriya, not only for its religious significance at the time, but also for its spectacular views of Sri Lanka. 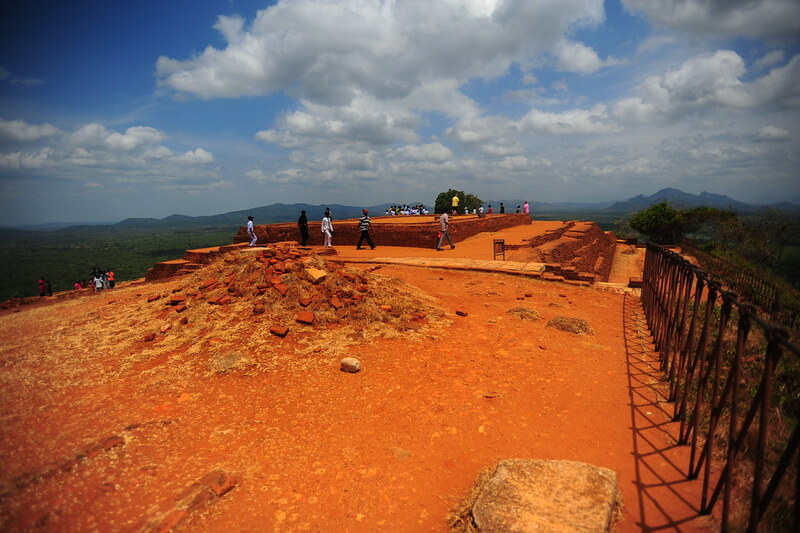 The top of Sigiriya just got served. Views like these kind of makes me feel I'm in East Africa instead of South Asia. 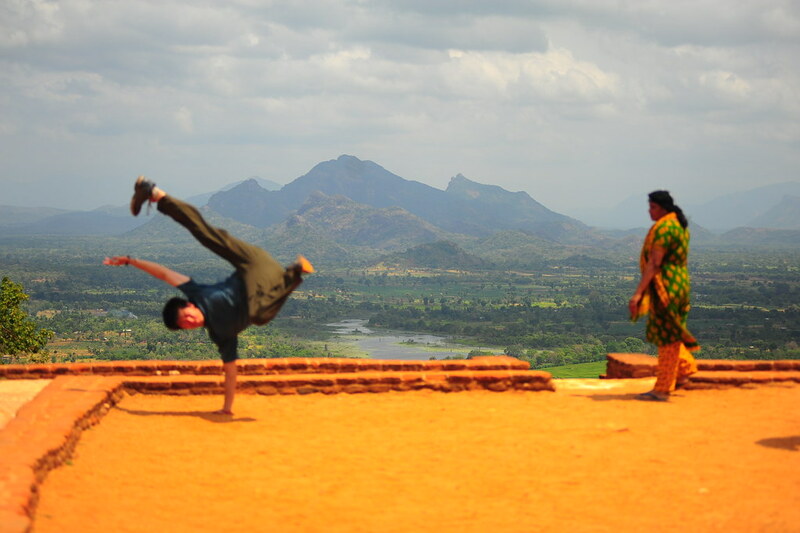 I recommend staying out on the top of Sigiriya for awhile so you can enjoy the heat-breaking gusty breezes (they were strong enough to knock some guys off their feet!). Afterwards, you can begin your quick descent to sea level. Just be careful of unevenly placed stairs. After Sigiriya, we were lucky to find a rickshaw driver heading back to his home in Polonnaruwa, so we hopped on for a very low price of 900 rupees (otherwise any normal rickshaw would’ve cost around 2000 rupees). 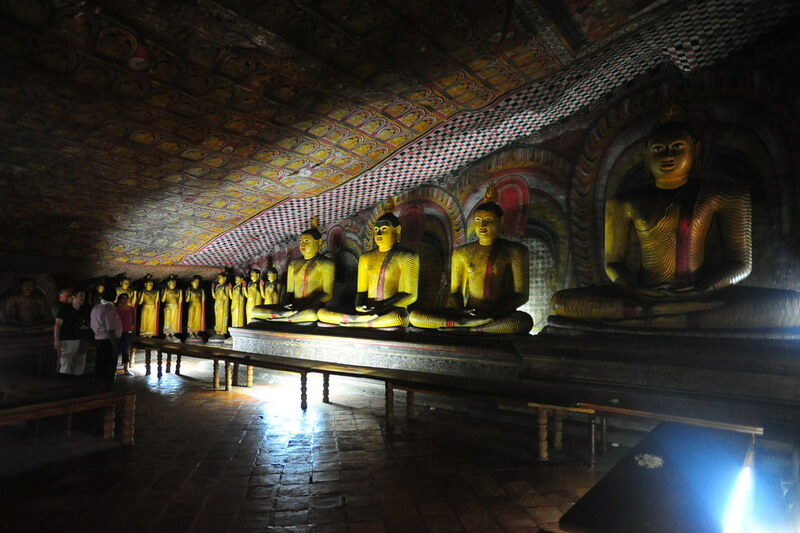 The other option would’ve been waiting for an hour two separate times for two separate buses to get to Polonnaruwa. So our fortunate rickshaw deal isn’t something that happens often to every backpacker, but if you stick out your nose far enough, you might be just as lucky. 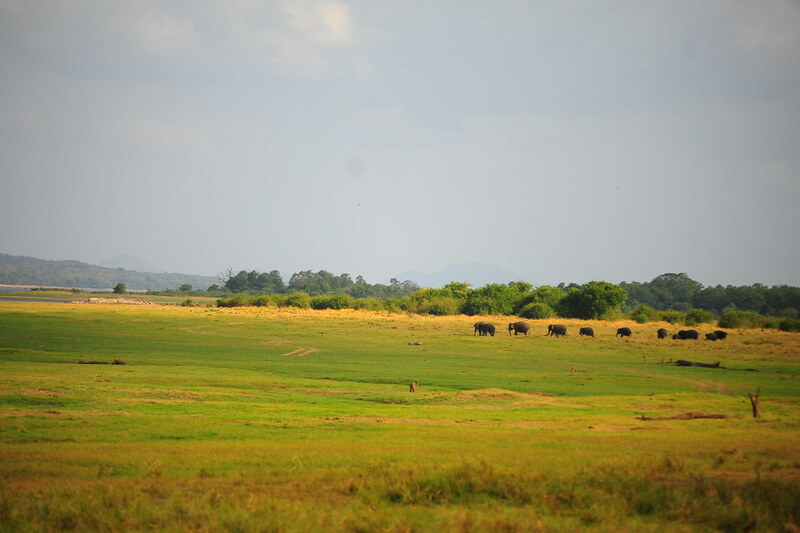 The first elephants I've ever seen in the wild (i.e. not domesticated for tourists to ride on or get blessed by). 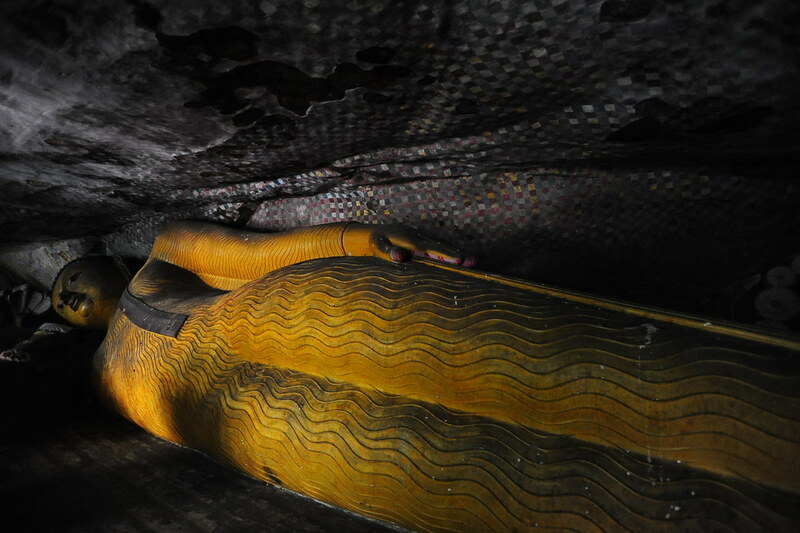 We’re now in Anaradhapura, chilling out after a so-so day wandering around Polonnaruwa earlier this morning. 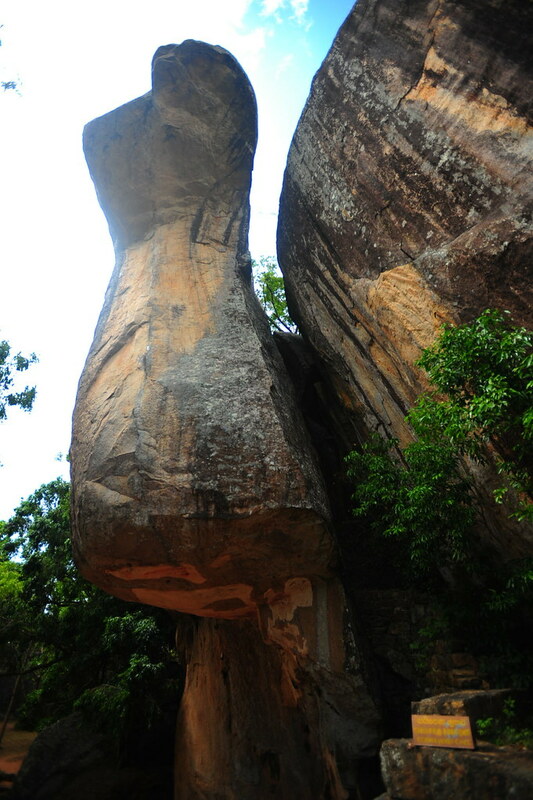 More on Polonnaruwa next.